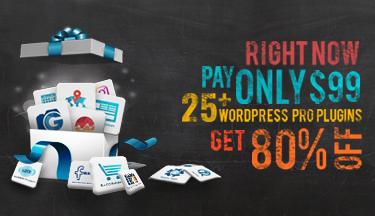 WordPress’s plugins can enable a website or blog to be customized, optimized and perfected. One of the most imperative aspects of optimization is the site’s responsiveness. Making a website mobile-optimized and responsive will allow customers or readers to remain on the site longer, and choose your site over other, less responsive ones. But how does a WordPress blogger sift through the many available plugins to choose the perfect ones for making their site more responsive? Below is a list compiled to make that search easy. Read on to better understand the 11 WordPress plugins designed to help make a website more responsive. 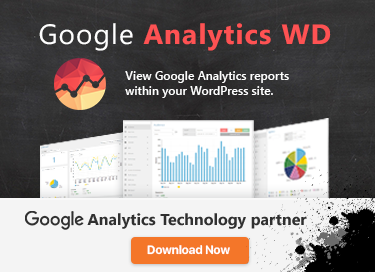 WPtouch is number one on this list for a reason. WPtouch Pro 4 can transform the way your website looks and works on mobile devices. It does this by automatically displaying a mobile-optimized version of your site when a visitor reaches it via a tablet or smartphone. This plugin lets you customize the menus, pages, and devices served to, while retaining the same site content. This plugin works by detecting the mobile browser of the device that’s trying to open your WordPress site. It then displays a theme accordingly based on pre-set options. This is a straightforward yet intuitive plugin that will make the website experience optimized for each site visitor based on the device they are using. Photo Gallery is considered an advanced plugin with a list of tools and options for adding and editing images for different views. It is a fully responsive plugin that can let its user apply a thumbnail gallery view, masonry gallery view, slideshow, mosaic gallery view and more. The file manager tool helps you rename, upload, remove or copy images. It also comes with an e-commerce add-on that allows you to sell directly from the gallery. Contact Form Builder is an easy-to-use and useful WordPress plugin that creates responsive and free contact forms. It is preloaded with multiple templates and theme options, ready to be customized based on its user’s needs. WP Mobile Edition is a necessity for anybody attempting to optimize their site’s responsiveness. A complete toolkit in itself, it comes with a mobile switcher and a variety of mobile themes. The plugin is compatible with iPhones, Android OS devices, as well as Windows phones. It features an ideal interface that lets WordPress site owners customize the mobile version(s) of their site without having to code at all. No SEO knowledge is needed either – the plugin does all the work for you. Jetpack is the Swiss army knife of WordPress plugins. It runs on an open-source platform using a responsive theme and it allows you to customize virtually every feature. Jetpack is one of the plugins on this list that is not just a luxury or way to improve your site—it’s practically essential. From related posts, to share buttons, the publicize function, and the subscription system there is not much Jetpack cannot do. It has site stats and a site monitor tool too, and readily available customer support to resolve any issues or questions that may arise amidst its multitude of capabilities. The Mobile Smart plugin allows your WordPress site to switch to a different theme upon detecting a mobile device. This plugin doesn’t just differentiate between mobile devices and desktop devices; it can also tell which tier of mobile device a WordPress visitor is using. This allows the WordPress webmaster to allow conditional content to be included, based on the tier of device. It’s a priceless plugin that can save time and earn your site and content more views and more money. iThemes Mobile is a popular, easy-to-use plugin that lets any WordPress site owner create mobile-friendly, highly responsive themes quickly. This plugin comes with a style manager and preexisting mobile-ready themes. Styles can be customized for the mobile version of any WordPress site; aspects that can be modified are headlines, footers, navigation, and fonts. iThemes Mobile also supports multiple platforms and allows you to create your own unique themes and save them. WP Mobile Detector can automatically identify the device being used by the WordPress site visitor and thus load the most appropriate and compatible theme for that type of device and operating system. WP Mobile Detector is notable too because it is the first plugin that can distinguish the difference between a standard mobile phone and a smartphone. It includes many advanced and useful features to make any WordPress site more responsive as well. These include image resizing, advanced mobile statistics, automatically formatted content, and much more. AddFunc Mobile Detect is a wonderful plugin that automatically redirects any mobile site traffic to the mobile version of a WordPress website. This plugin is super useful because it redirects on a page-to-page basis; it also sets a cookie to track the visitor’s choice. Keep in mind, however, that it’s Detect in the title of this plugin, not Redirect. So if you don’t want to redirect any visitors, you don’t have to. This plugin works with static pages, attachments, posts, tags, and categories, to stop the redirect. The mobile theme is under the control of the WordPress site owner and can be customized simply by using CSS or WordPress shortcodes, also included with this plugin. Equivalent Mobile Redirect is a reasonable alternative to the above plugin, AddFunc Mobile Detect. It has many of the same functionality – Equivalent Mobile Redirect can detect mobile devices and redirect site traffic to the mobile version of a WordPress site, based on the customized page settings, thus making your site as responsive as possible. Equivalent Mobile Redirect lets its users override page-based redirects and send all mobile traffic to a single URL. Additionally, this plugin enables the bypassing of a mobile redirect and can let visitors view the full site. This plugin permits unlimited [mobile] redirects and utilizes the most up-to-date mobile library, coupled with a few HTTP headers for detecting the visitor’s type of device. Equivalent Mobile Redirect stands apart from the above, comparable plugin because it is compatible with WordPress Multisite and supports Google-endorsed 302 redirects, optimizing the SEO results for the website that’s using it. In conclusion, any combination of the above plugins proves that a WordPress webmaster doesn’t actually need to have years of coding and computer experience, an enormous budget or limitless creativity to make their site more responsive. What it does take is one or more of the above plugins, and a willingness to install and customize.